The goal of most individual bankruptcy cases is a discharge for the person filing. But a discharge is a privilege, not a right. There are requirements you must fulfill to be eligible for a discharge, and there are actions you can take (or not take) that could prevent you from obtaining a discharge or cause the court to revoke one that you’ve already been awarded. Just because your discharge is denied or revoked, that doesn’t mean that the case will be dismissed and back to status quo ante and your pre-bankruptcy status. No. The case will continue. This means that the trustee can still take possession of your non-exempt property and sell it to pay your creditors. Hiding property from the trustee or your creditors, including failing to disclose property on your bankruptcy schedules, or transferring it to someone else before or during the bankruptcy (and even after the case has been concluded) with intent to keep it away from the trustee and creditors. Destroying financial books or records so that the trustee and creditors will not be able to assess your true financial picture. Failing to turn over tax records. Making false statements, orally or in writing, about your assets, earnings, and debts. This could include incorrect information included in your schedules or information left off the schedules, plus any false testimony you offer to the court. Not being able to explain or account for the loss of property or money. For instance, you lose $15,000 in sales inventory shortly before the case is filed, yet you have no idea how it happened or where it might have gone. Violating a court order, often with respect to a refusal to turn over documents or non-exempt property. Failing to tell the court about a prior bankruptcy case. You obtained the discharge through fraud that was not discovered until after the discharge was entered. This can include lying on your bankruptcy paperwork, failing to disclose assets, or failing to disclose all sources of income. You received or became entitled to receive property that would have been included in the bankruptcy, but you failed to inform the trustee. For instance, you received an inheritance three months after you filed bankruptcy but never told your trustee. You refused to obey court orders or failed to cooperate with your trustee. You failed to produce documents necessary in your case or failed to adequately explain any misstatements you make to the court or your trustee in your paperwork or during testimony. 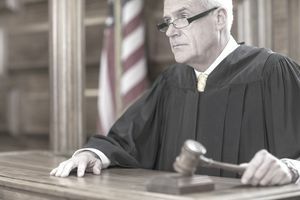 Denying or revoking the discharge is the job of the bankruptcy judge. The trustee and your creditors have no power to deny or revoke the discharge. They are what’s called “parties in interest”. They can bring the issues to the attention of the judge, who will decide whether they will result in denial or revocation of the discharge. This is usually accomplished through filing a document called a complaint, which starts a lawsuit within the bankruptcy case itself.